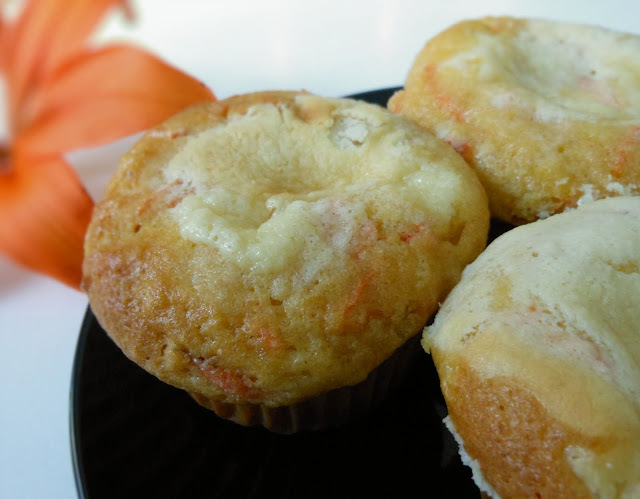 If you are looking for a tasty carrot muffin recipe, this one is certainly not going to disappoint you. The muffins are so yummy that you can be addicted to them. Adding pineapple to the muffins surely increases the moisture. 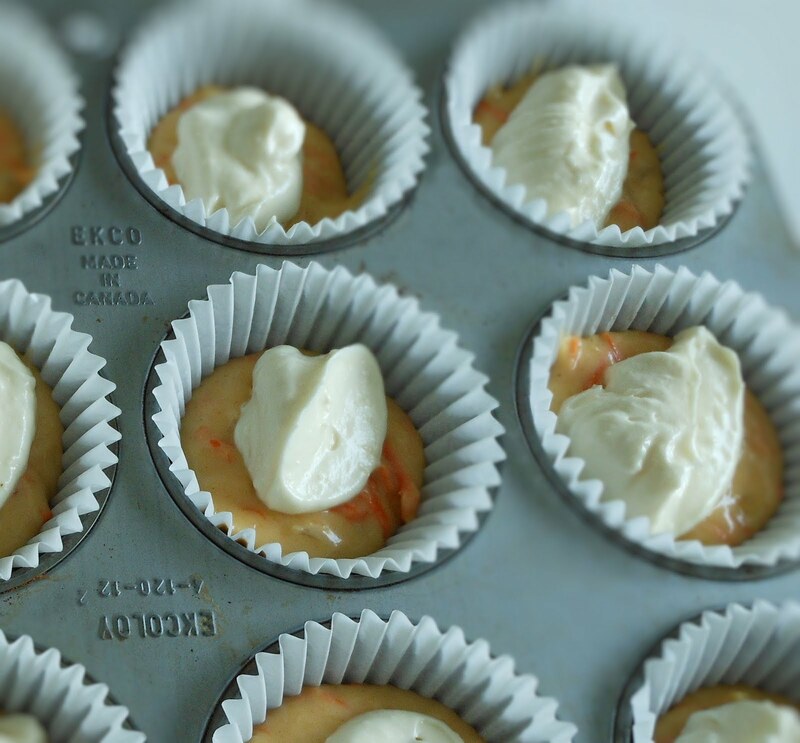 The cream cheese filling also enhances the taste. 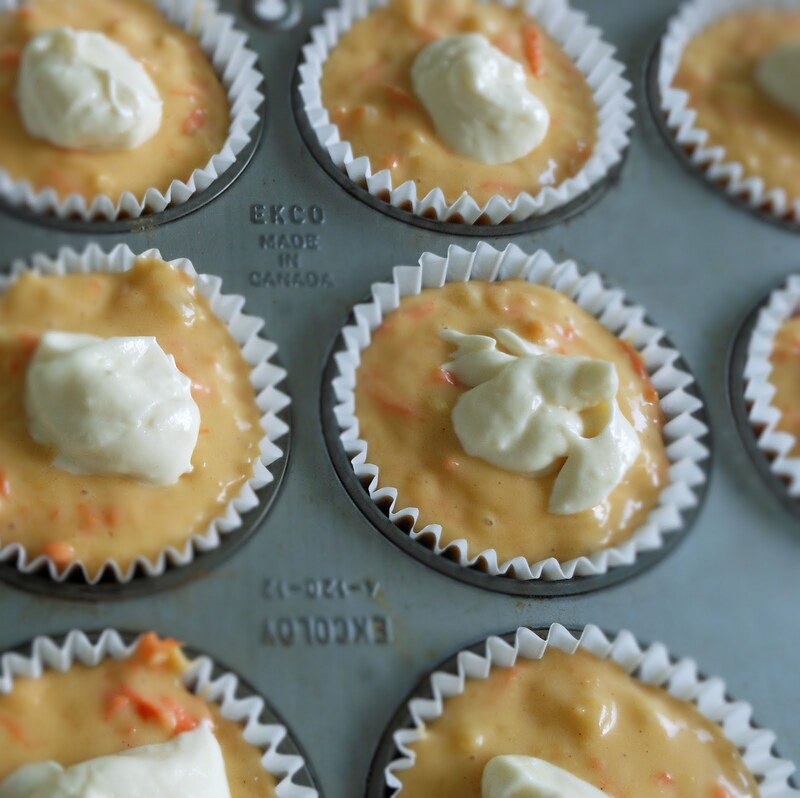 In terms of the sweetness, I use less sugar in most of my baking including this recipe. Hope everyone enjoys the muffins as much as I do. I use giant cupcake liners. Makes 12 muffins. Beat eggs and sugar in a mixing bowl. Add oil, vanilla, grated carrots and crushed pineapple and beat for about half a minute. Add sifted dry ingredients to the mixture and beat until well mixed. Beat cream cheese and butter. Add sugar, egg and vanilla and continue beating until well mixed. 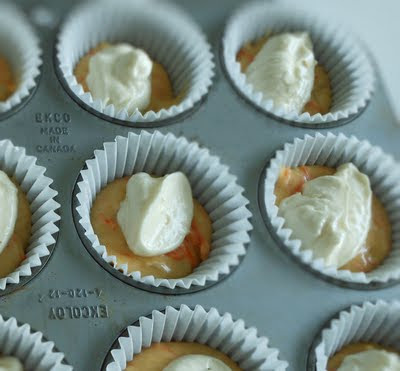 cream cheese filling in the center. Top with more mixture until the cups are almost full. and bake for 35 minutes or until brown.